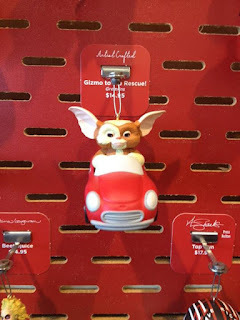 The Horror Movie BBQ: Hallmark Ornaments I'd Want For Christmas! Hallmark Ornaments I'd Want For Christmas! Ok, ok, ok. Don't even say it. I know it's not even August yet, I get it. But this whole Christmas in July thing has had me thinking a lot about Christmas and how much I truly hope this years Christmas will be as great if not better than last. While I've got got a little under 5 months to worry about it, I do have to say that something caught my eye on a random trip to Hallmark this past Friday that made me wish Christmas was here sooner. I can only be referring to Hallmark's amazing ornaments. Yup! Every year, Hallmark delivers more and more awesome ornaments to doll up our Christmas tree in unlikely geek fashion. Which is awesome seeing as 15-20 years ago, all Hallmark put out was a replica lunchbox or a mouse opening presents. That was pretty much it. But now, the floodgates are opened and we can finally put Batman on a tree or a diorama of Clark Griswold plugging in his lights from Christmas Vacation. It's about time, too. I got tired of handmaking nWo and Ninja Turtle ornaments. So which ornaments made my list? Well, it wasn't easy, but I think I have a good list here. As noted on the Keaton-Cast episode of UnderScoopFire podcast that I appeared on earlier this year, anything that has Michael Keaton, I'm down. 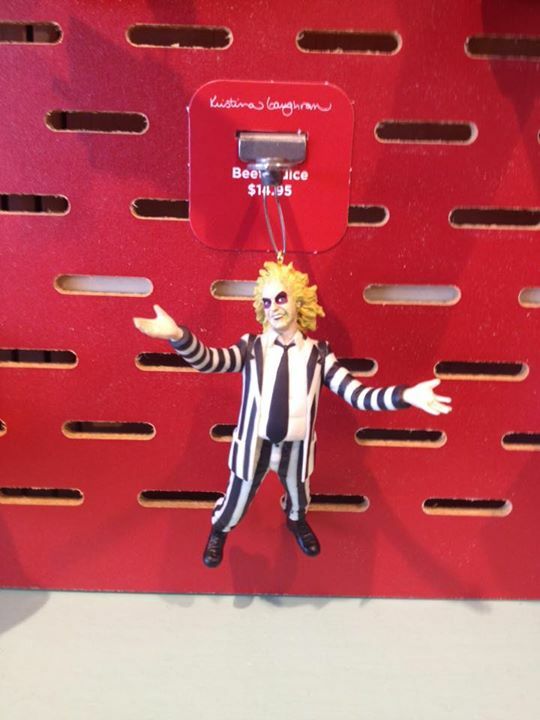 I love Beetlejuice. Keaton was great, Winona Ryder was great, the visuals were great, the music was great, everything was great. So naturally, I love this ornament. It's got that great "hey, say my name!" look. I'm expecting it to cause trouble, but with the way it looks, it's a price I'm willing to pay. Peanuts is a lifelong obsession of mine. 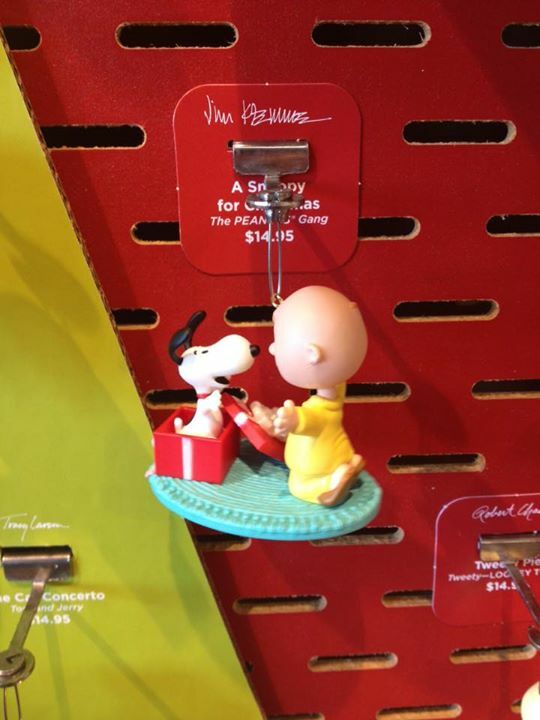 Anything with Charlie Brown and Snoopy, I'm automatically going to love. That means holidays. Holidays are ALWAYS in my hosuehold as a kid and even now have always been peppered with Charlie Brown decorations all around the place. 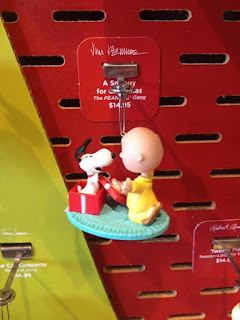 Hallmark has long had a relationship with the Peanuts characters and their offerings get better and better every year. Hallmark has a couple Peanuts ornaments but this one was my personal favorite. It really represents the love between Charlie Brown and Snoopy perfectly and the smile on both their faces, really sums up why I love these characters. A very welcome addition to my tree to say the least. Now here's a fun little deviation from the normal geeky.sentimental choices, but I couldn't help but smile. 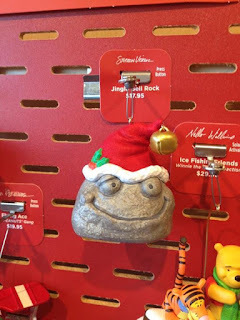 A PetRock with a Santa hat that plays "Jingle Bell Rock". I don't know if there's anything else I can really add to this. It just looks so happy to be hanging around for the holiday. I feel like this could potentially be the one no one buys just because it is so simple, but I love it. Oh my. Lynda Carter has always been one of my biggest crushes ever. In fact, I met her at a cd signing in 2009. I can tell you that never before(or since) have I been so star struck. With all due respect to Gal Gadot(who I hope does a great job as Wonder Woman), I don't think there's a person alive who doesn't look at her and still think "Wonder Woman". And with this, you can look at your tree and feel warm and fuzzy thoughts. 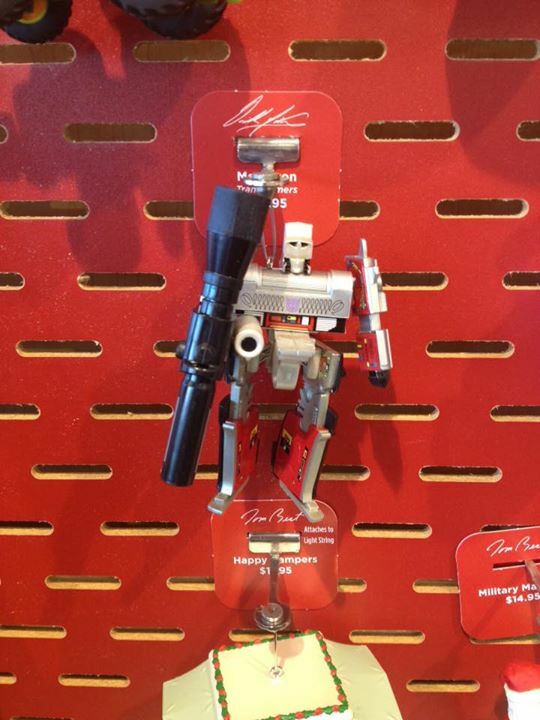 Even better, if you press the button on the side, the ornament plays the theme to the 70s tv show. How great is that? I don't think this can be any more "wonder-ful". Oh boy. OH BOY OH BOY OH BOY! 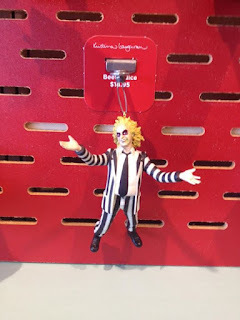 This is my personal favorite out of all the great ornaments I've listed and seen in the store. 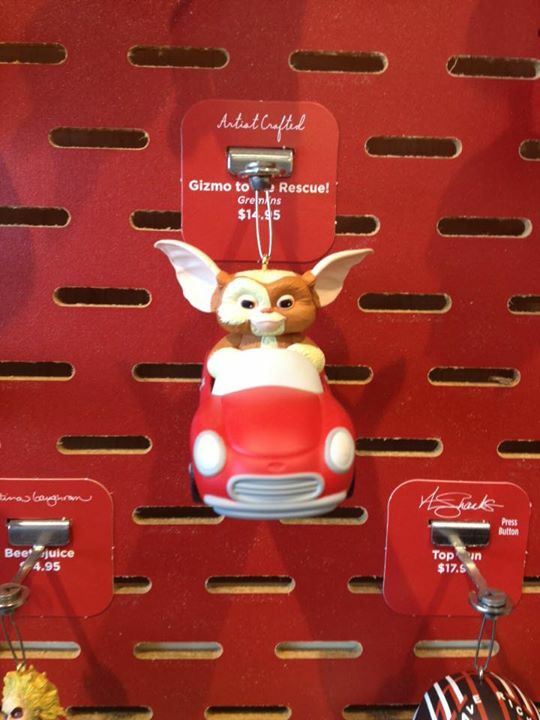 Being a lifelong Gremlins fan, it makes all the sense in the world to own a little ornament of Gizmo in his red car from one of the most memorable scenes of the first movie. It's an easy YES! from me and I have to assume anyone else with a beating heart. If you say you don't want this, I just don't know what to do. Try to deny Gizmo's infectious smile and adventurous energy. I dare you. 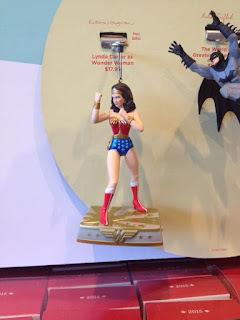 See any great ornaments on this list you love too? Or maybe the Hallmark site? Share with me what your personal favorites are in the comments! Yes, my tree needs all of these.